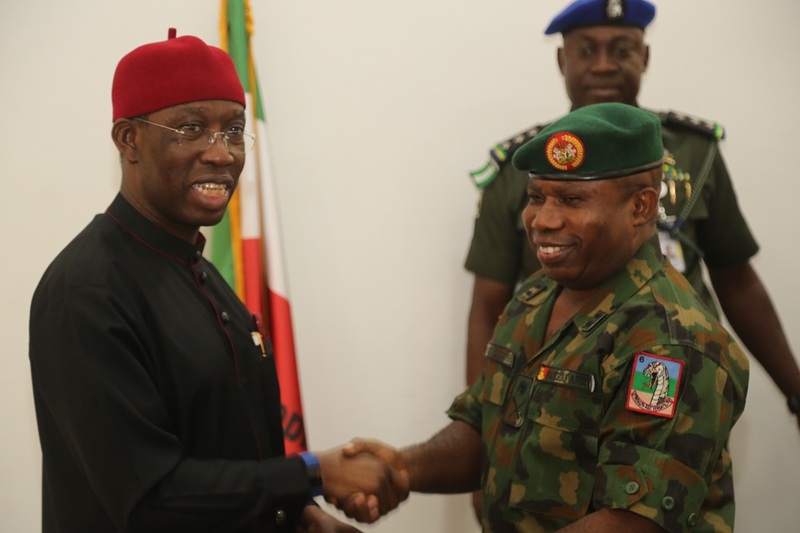 Delta State Governor, Senator Dr Ifeanyi Okowa has said the Nigerian Army has shown a lot of professionalism in tackling security challenges in the country. The Governor specifically observed that the military in conjunction with other security organs have recorded successes in curtailing security challenges, in the Niger Delta region, disclosing that his administration at the height of militancy in the Niger Delta which led to the destruction of national assets, set up a high – powered advocacy committee led by his Deputy, Barr. Kingsley Otuaro. 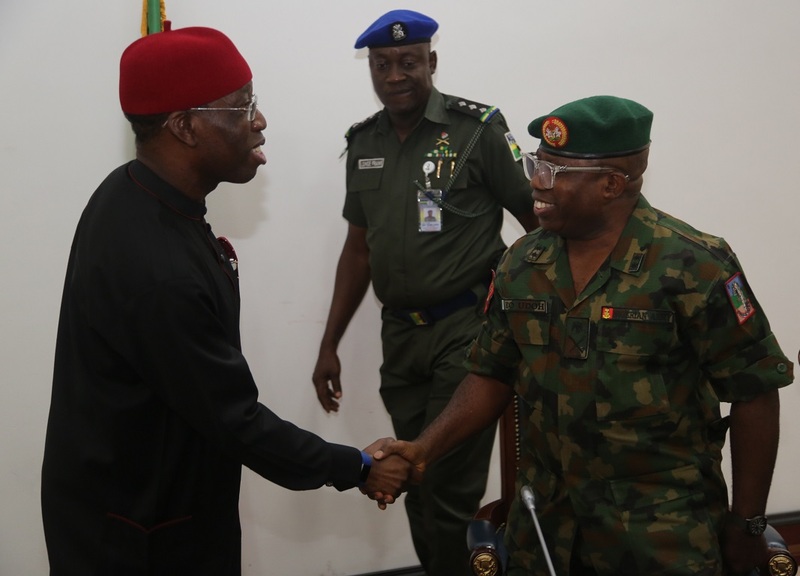 While noting that the advocacy visits to the creeks of the Niger Delta made the traditional rulers to instill in their subjects the need to sheath their swords, Governor Okowa gave kudos to the military for the professional ways it tackled the situation in the area. “We have achieved a reasonable level of peace in our state and I want to commend the Vice President, Prof. Yemi Osibanjo who visited our state, traditional rulers, our youths and the security agencies for the different roles they played for us to enjoy peace,” the Governor said, adding that the security council meeting has been regular in the state to ensure that impending security challenges are nipped in the bud. “The peace of this state of recent, has been disturbed by the activities of herdsmen and we need to make this known because, the frequent clashes between herdsmen and our farmers are becoming a huge challenge to us; we hope that the Federal Government will proffer solutions through enduring policies,” he added. Earlier, Major General Udoh had told the Governor and members of the state executive council that he was in the state to inform the government that a new Division of the Nigerian Army has been created to cater for the security challenges in the Niger Delta area comprising Akwa Ibom, Rivers, Bayelsa and Delta State, disclosing that military formations of the new Division will be sited in different parts of the state.